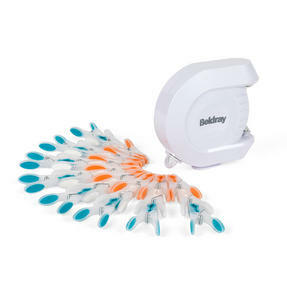 Ideal if you would prefer not to have an airer or washing line permanently cluttering up your garden, this Beldray retractable clothes line allows you to hang your washing when you need to. 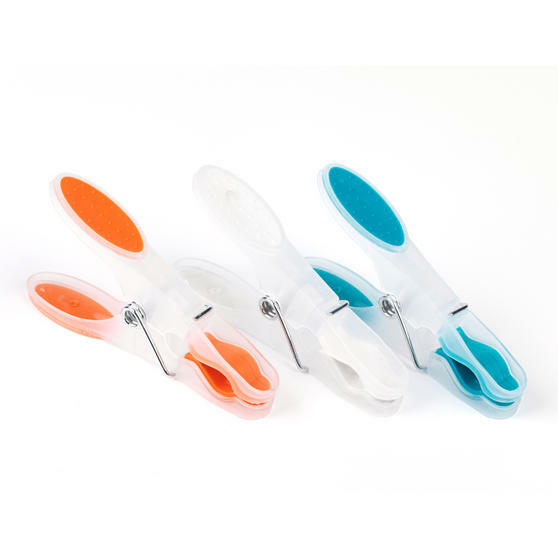 Suitable for both indoor and outdoor use, the versatile washing line retracts when not in use and has an adjustable length up to twelve metres. 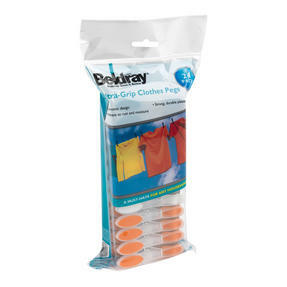 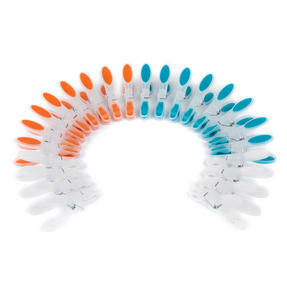 The line comes in a set with 24 fantastic soft grip pegs in bright colours, ideal for hanging up bedding, towels and any other garment for drying. 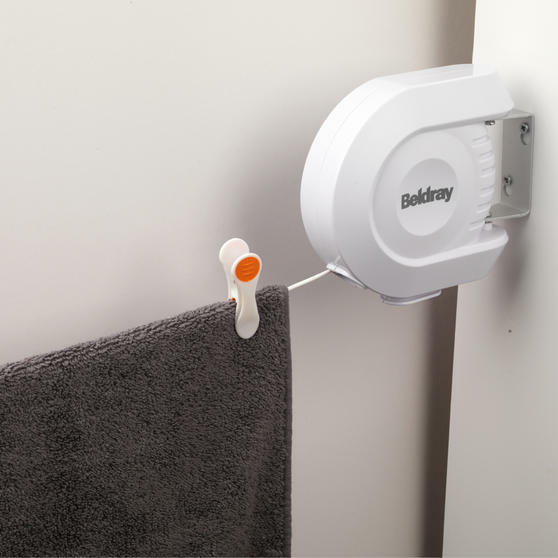 Save extra space in your home or garden with this Beldray retractable clothes line, which withdraws neatly whenever it is not in use. 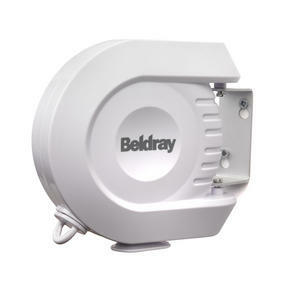 It is wall mountable, with a flexible pivoting wall bracket for effortless manoeuvrability, so you can install the line anywhere. With an impressive twelve metres of drying space and adjustable length for your needs, your clothes will be ready to wear in no time. The line come with a set of soft grip pegs that will securely hold even heavy items of clothing, the rubber grip endures windy weather. The line is perfectly compact, an essential for small gardens or if you have limited floor space measuring just 15.5l x 16.5w cm.